Congratulations to our 1st Monday Mindgames WINNER Corey B.! 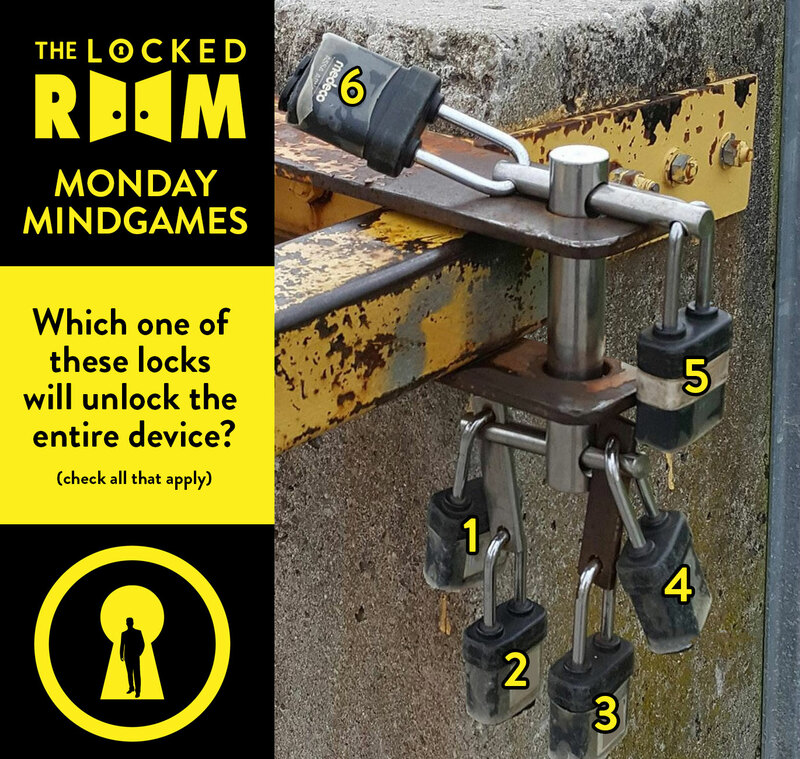 Thanks to the strength of your brain, the luck of the draw … and well, the internet – you’ve won a 4-person pass to The Locked Room (check your e-mail Corey). Of the 1,622 contestants – 31% of people guessed the correct answer. Next Brainteaser coming Monday June 19th!